Celebrity Big Brother spoilers reveal Ricky Williams is causing drama in the CBB US house with both Tom Green and Tamar Braxton. The NFL running back managed to hack off two houseguests within the span of one day. Several interactions with Tom Green led to a scene. Then later, Ricky aggravated Tamar Braxton into exploding. When CBB US started, it looked like Ricky Williams was going to play a relatively low key game. He won the first PoV and decided not to use it, letting things happen around him. That changed the further into the game that he got. Now, within twenty-four hours, Ricky has stirred up the CBB US drama with two different Celebrity Big Brother houseguests. The former football star seems determined to pit the celebs against each other. He played hard on the field and now in the house too. Last night in the backyard, Celebrity Big Brother live feed watchers saw Ricky Williams, Tom Green and other Celebrity Big Brother HGs hanging out. When asked to do standup for them, Tom refused. Then Ricky accused Tom Green of being scared. The funnyman said his act is too political and might offend some of them. Then Ricky’s insult spurred Tom to further explain that the room needs a certain “atmosphere”, but the NFL’er said it was a terrible excuse. The Heisman Trophy winner left the backyard mocking Tom saying: “comedians need a crowd to be funny.” Later, Tom told Lolo Jones he wants to keep Jonathan Bennett to cripple Ricky’s game. Then the CBB US live feeds showed that Lolo blabbed to Ricky who was then pissed at Tom Green and called him a pr*ck. 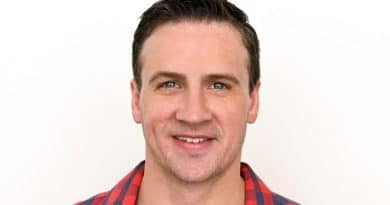 The Canadian comedian now wants the ex-football player out right after Jonathan. He later apologized to Tom and asked him to let him in the future if he comes off as disrespectful. Earlier today in the Celebrity Big Brother luxury hotel bedroom, a conversation between Ricky Williams and Tamar Braxton took a turn for the worse. He asked her if she had ever “contributed to negativity?” Tamar said that she would be lying if she had not, but admitted that she has willingly done so before. The conversation seemed innocent enough until Ricky kept interrupting. Tamar Braxton went off after he cut her off one time too many. She clapped her hands together and asked him why was getting loud with her. It spiraled and Tamar stormed out in a rage on Celebrity Big Brother. Then she talked it out with Kandi, even though they’ve been at odds themselves all week. Be sure to tune into CBS tonight for the first live eviction of CBB US! And check in with Soap Dirt for all the latest Celebrity Big Brother spoilers!